Yes, you read right. A dish that has been made in a Microwave for the very first time on FLF. I am one of those who wouldn't dare 'cook' in the Microwave and confined this rectangular appliance to mere reheating of food(do I see nodding heads?). Back home among family, it seems to be a fad to own a microwave, an even more ignored appliance in the kitchen which sits in a corner under a host of other things collecting dust. Every relative I spoke to had only one demand, that I teach them how to cook and bake in a Microwave. I winced at the thought of doing either -- cooking or baking in a MW. I finally cracked under the pressure and teaming up with mom decided to tackle this task head-on. Cooking and baking in the Microwave has already been taken to new heights here and I feel like a toddler taking her first steps. (Don't jeer at me oh great "Microwavers"!) Well, I had to start some day. 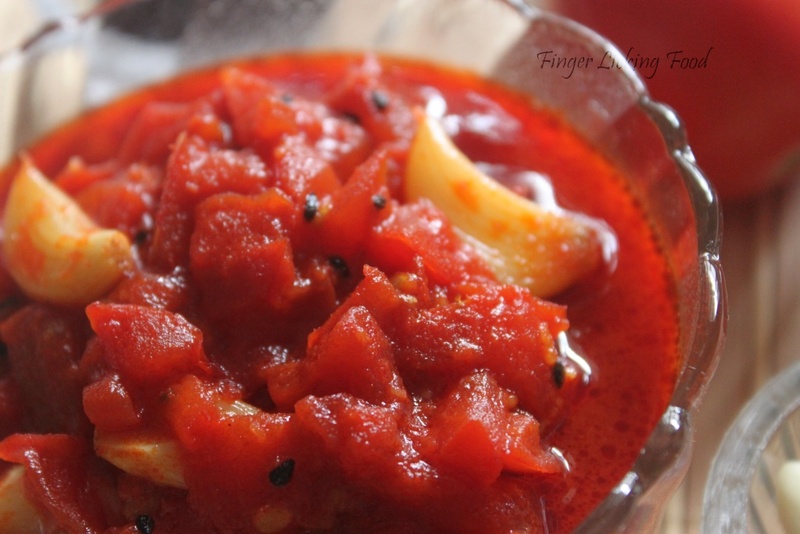 Mom and I agreed upon a simple tomato chutney and a few minutes later, we were dunking into some finger licking goodness! Place chopped tomatoes, onion seeds and oil in a MW safe bowl and cook on 100% power for 4mins. Add sugar and stir to dissolve. Add the remaining ingredients, except vinegar, and continue to cook on HIGH for 7-8 minutes stirring thrice in intervals. 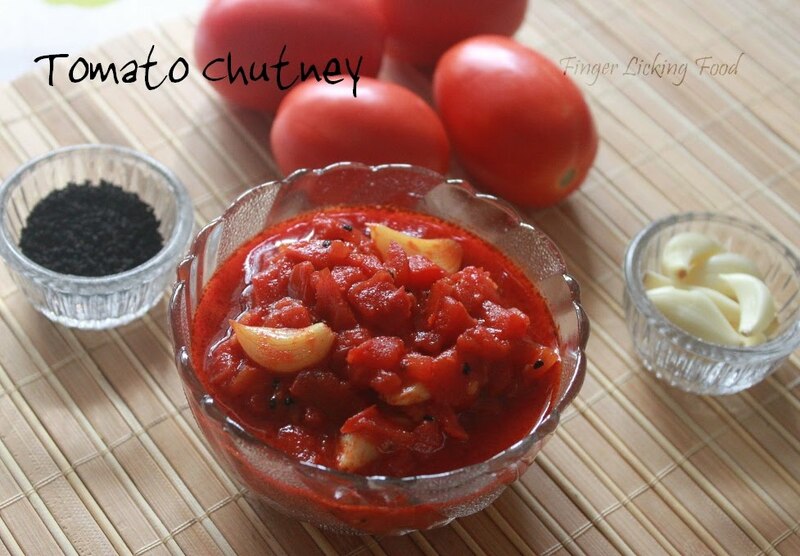 The tomatoes should have softened and the chutney, fragrant. Add vinegar as needed depending on sourness of tomatoes. 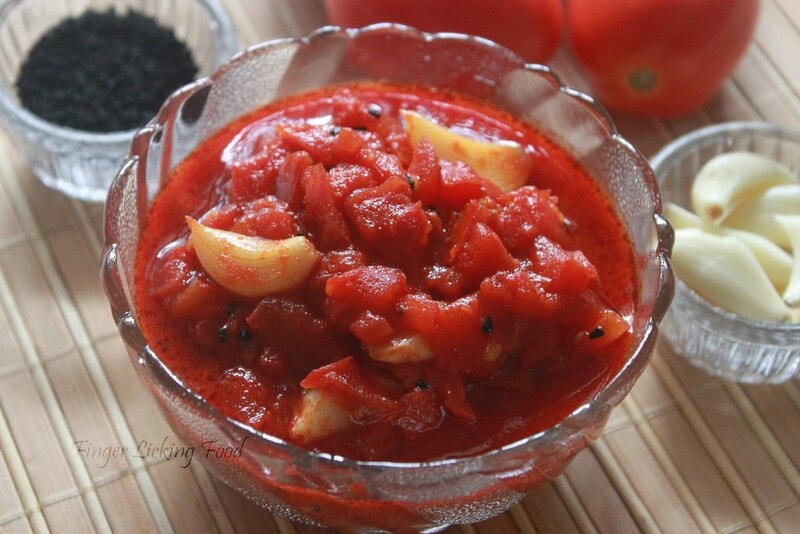 Luv anything with garlic and tomatoes...looks too gud! the chutney looks so chunky and yummy Namratha. Congratulations to you too, on completing 3 years of delicious blogging. Cheers to many more.